LIAM Boyce has his mother-in-law-to-be to thank for his goal scoring feats in the Scottish Premier League this season. True story. The 26-year-old Ross County forward looks set to start for Northern Ireland in tomorrow night’s friendly against New Zealand after he topped the goal scoring chart in the SPL ahead of Celtic’s Scott Sinclair. And it was the mother of his fiancée who spurred him on when such an achievement might have seemed unlikely. 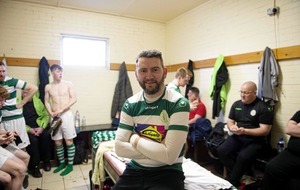 “Personally, it was unbelievable, but there’s a funny story behind it,” says the former Cliftonville striker of his finest season yet in professional football. “My fiancée’s mum used to text me every week saying ‘Scott Sinclair scored again’, so I had that at the back of my mind and, once I scored four at Inverness, she texted to say ‘that’s you level’, so I just tried to concentrate from then on in because he got so far ahead of me I didn’t think I could catch him but, thankfully, I did. “So I was trying to keep the in-laws happy and then that makes sure I’ll be happy,” the Falls Road man jokes, and he admits, given Celtic’s treble-winning heroics, it was a surprise for Scotland’s top scorer to come from another, less prolific, side. “Obviously, Celtic did so well on so many fronts that you would expect them to have the top scorer,” he adds. And on the day it was confirmed Boyce was Scotland’s golden boot – when Sinclair failed to score in Celtic’s final day win against Hearts – there was no need for a text message from the usual suspect. “I was sitting in my fiancée’s mum’s house watching it with them and, right up until the end, I thought Scott was going to score a hat-trick, but thankfully he didn’t,” he says. 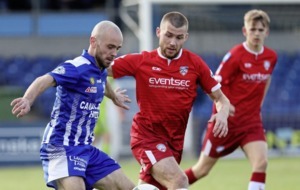 His 24 goals with Ross County and the likelihood of a start at Windsor Park tomorrow cap a fine season for Boyce after the disappointment of missing out on the North’s European Championship adventure last summer. “I knew it was going to be a big year for me with that disappointment and I just wanted to carry on for a full season,” he says. LAST summer, Will Griggs was given the nod to travel to France ahead of Boyce, but a new arrival in the family helped salve the pain of being left at home. “It was between me and Griggsy, but he’d had the better second half of the season and, after my injury, I wasn’t back to myself, so it was sort of expected. My daughter was born at the same time, so that helped in a big way,” he says. 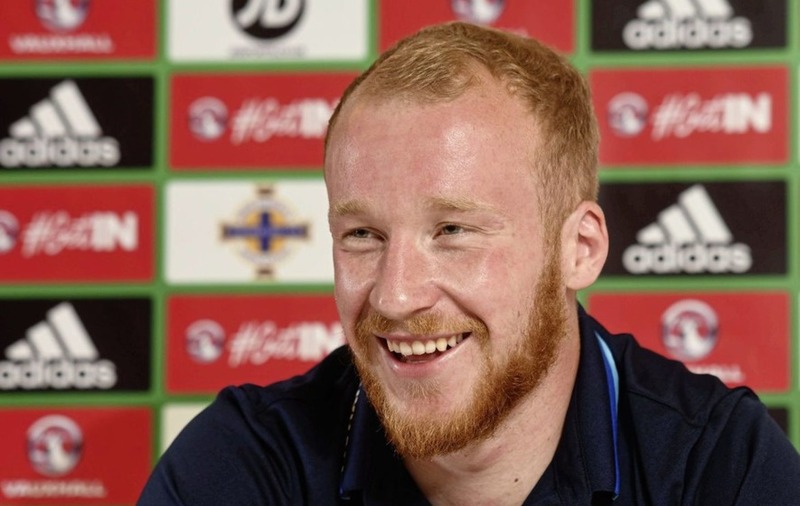 A year later, with Boyce established as one of the finest players in the Scottish game, he is setting his sights on being a certainty to be on the plane if Michael O’Neill’s side make a second major tournament in succession, in Russia next year. “With the World Cup coming up, I want to be part of the team and help to get the team there,” he adds. His first opportunity to get those minutes – and perhaps goals – under his belt should come at Windsor tomorrow.